This is the vote results for the vote if Halo Nation should merge into us. Please read all the details below including the "Disclaimer". Halopedia would like to remind people to not harass or attack people regardless of their choices. (This includes the staff of Fandom) And to specify what harassment and attacking means, we mean no ad hominem attacks, spamming or otherwise disrespectful behaviour. We also would like to remind people not to vandalize Halo Nation. Anyone caught doing the stuff mentioned here may risk a ban according to the Blocking Policy. 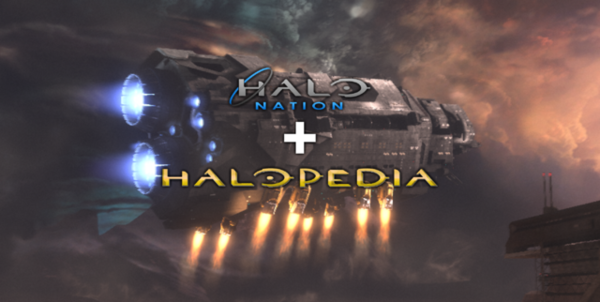 Halopedia does not support defacing other sites and also plans to keep in good relations with Halo Nation regardless of the choices made here, and on their end. After 2 weeks of voting, the results are in. 19 voted to open our doors for Halo Nation to merge into us. 3 who voted were neutral saying concerns. 1 was oppose to open our doors. Due to the overwhelming support this means we have 100% opened our doors to Halo Nation merging into us. We would like to thank everyone who voted, commented, and showed their support throughout the community. Halo Nation started their vote to see if they should merge with us on January 21, 2019. This vote ended on February 4, 2019. Read here for more information. 13 voted to merge into us. This means Halo Nation was successful in voting to merge into us. We want to thank them all for their faith that we are the right wiki to merge into. For existing users nothing will change on Halopedia. Users can still edit articles, and add images without a issue at all. A normal day in the office. An option to help merging the wikis will be given to all users however, but it wont be forced at all. If an admin was inactive during the trial period, they may need to push though a Request for Adminship themselves if they want to become an admin. After the trial period, if the admin wished to stay as a Patroller they can. Though throughout the trial period they would be treated as admins. The Halo Nation team will make introduction pages about themselves. This is so you all can learn about who they are. Both Halopedia and Halo Nation admins/patrollers will go through all the assets on Halo Nation and add/merge stuff that is appropriate. This would be done via a test wiki to prevent inconsistencies and any disruption to Halopedia or the Fandom site. After a merger policies may be adjusted to account for stuff Halo Nation was doing, pending if they are superior to ours. There will be discussions between the admin teams in how the social media will be handled.